The 60’ Sea Ray screams of elegance. This Immaculate vessel is equipped for cruising in maximum comfort plus features a custom layout professionally decorated and shows as new because it is new. 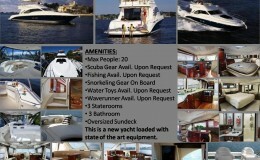 The layout features three staterooms, three full bathrooms, plus size salon and galley with an oversized deck. 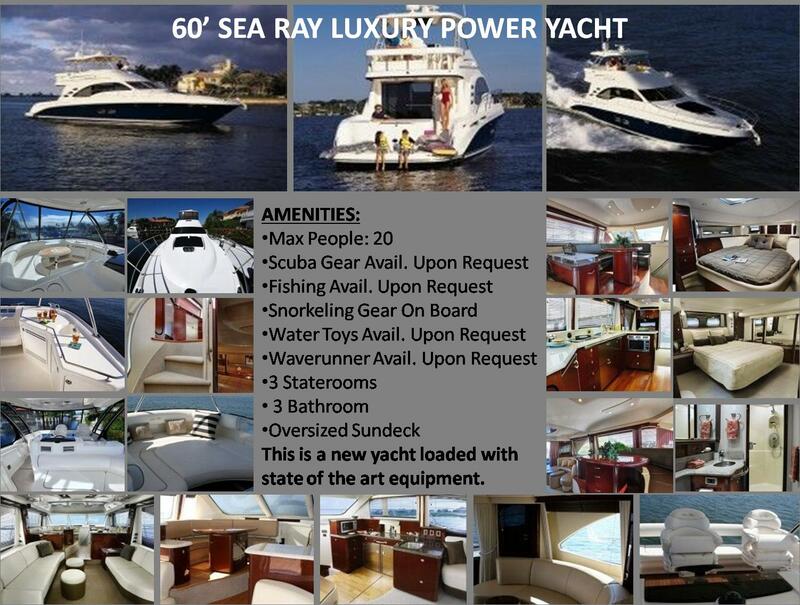 A great deal of attention went into the design, construction, and commissioning of this exceptional Sea Ray 60. This vessel is available with most water toys upon request. Dine in with on board chef and open bar privileges are available with this gorgeous craft.